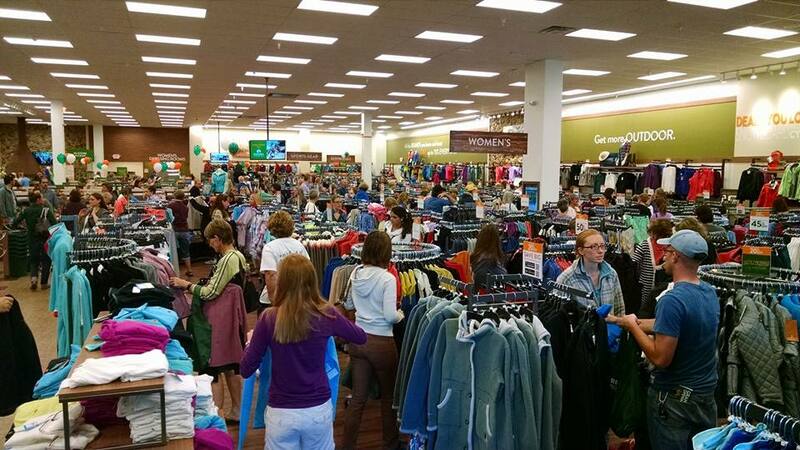 The Sierra Trading Post is a retail subsidiary of TJX Companies. It is headquartered in Cheyenne, Wyoming, United States, and was founded in 1986 in Reno Nevada. Their products range from outdoor recreation to clothing to home decor. Details: Combine with other offers for an even better deal! Excludes gift cards. Purchases must meet the minimum amount before taxes, shipping, and handling and after any other discounts are applied. 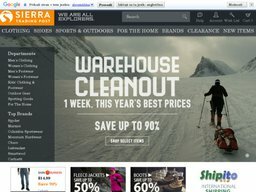 The privately held company sells overstocks, closeouts and seconds, from 6 retail outlets and an online store at SierraTradingPost.com. You make even more savings on top of their discount prices by using one of our Sierra Trading Post coupons during the checkout process. We update our list whenever a new offer or deal is available so be sure to check back before ordering. The Sierra Trading Post was founded by Keith and Bobbi Richardson as a catalog business. In the beginning items were illustrated with hand drawn images. Today they still send out two core catalogs, though a lot of business is now generated from the ecommerce site. TJX acquired the company in 2012 for around $200 million and was moved to a 500,000 square feet facility. The Sierra Trading Post sells a variety of products, mostly for the outdoor lifestyle. The categories include Clothing, Shoes, Sports and Outdoors, For The Home, Top Brands, Clearance, and more. In the Clothing category you have, men's clothing, women's clothing, kids' clothing, shirts shorts, pants, swimwear, vests, socks, underwear, base layer, jackets, coats, suits, sport coats, watches and watch accessories, sleepwear, robes, overalls, coveralls, sweatshirts, sweaters, capris, jeans, maternity, dresses, skirts, sweaters, separates, jewelry, hoodies, pajamas, infant and toddler, and more. In Shoes you'll find, shoes, sandals, slip ons, boots, socks, slippers, footwear accessories, sandals, clogs, for men, women, and kids. For Sports and Outdoor there are, camping and hiking, water sports, climbing, fishing, sunglasses, triathlon gear, cycling, motorsports, hunting gear, binoculars, cameras, snow sports, pet gear, luggage, auto accessories, electronics and gadgets, running and fitness, field and track, skate, golf, surf, tennis and racquetball, baseball and softball, yoga, and more. In the For The Home category you'll find, bedding accessories, bedding sets, sheets, blankets and throws, comforters, pillows, bathroom accessories bath rugs, towels and washcloths, garden, hammocks, swings, stands, patio furniture and accessories, picnic, outdoor décor, outdoor lighting, outdoor rugs, rugs and pelts, windows, curtains, shades, lighting and furnishings, throws and accent pillows, gifts, toys, and electronics, seasonal décor, pet gear, canles, décor, accessories, frames, clocks, and vases, cleaning and laundry, hangers, kitchen storage, organizers, shoe trees, racks, tools, cookware and bakeware, dinnerware and serveware, cutlery and flatware, gadgets, tools and preparation, drinkware, barware and accessories, kitchen textiles, small appliances, kitchen storage, and more. In Luggage you'll find backpacks, totes and messenger bags, ski and snowboard bags, business and laptop bags, carry on luggage, duffel bags, garment bags, non rolling luggage, rolling luggage, toiletry bags, and other travel accessories. Many of the Sierra Trading Post coupons can be applied to products in any of these categories, simply past the coupon code in to the promo box during checkout. Sierra Trading Post accepts all major credit cards, including Visa, MasterCard, American Express, and Discover. You can also use Paypal and Paypal credit, and their own gift cards. Sierra Trading Post has multiple shipping options. They primarily use UPS for domestic shipping, including UPS Ground, UPS SurePost, 2nd Day Air via UPS, Next Day Air via UPS, and more. Shipping costs vary depending on the value of your order. Ground shipping starts at $5.95 on orders below $25, and reaches $17.95 on orders over $200. International orders are also available. From time to time they will run free shipping offers, which we list alongside all the other Sierra Trading Post coupons. Sierra Trading Post operate a 6 month returns policy for a refund, store credit or exchange. Unless you received items in a damaged or defective condition a $2.95 shipping charge will be applied. All orders are shipped with the required returns form and shipping label.